Nishi Enterprise offers an extensive collection of superior quality chain couplings and spares that are known for their long life and excellent performance. Our chain couplings and spares are designed and manufactured for their utmost efficiency. We offer numerous versions of our chain couplings and spare products that come in cast steel, M.S. and other types of materials. Our products also vary greatly in their sizes and dimensions. If you are looking for products in any other kind of specific material, then all you need to do is inform us about it and we can create them for you. You can buy our standard products or provide us with drawings to create custom items. All our standard and customized chain couplings and spares come with dust preventive aluminum covers. Each and every coupling that we produce goes through rigorous tests before being approved for sales. We offer couplings ranging between 3/8" pitch and 3" pitch. If you are looking for chain couplings that are flexible, compact, versatile and long lasting, then you should definitely count on us for providing you the best quality products. We have been offering highly competent chain couplings and spares to our customers for a long time. 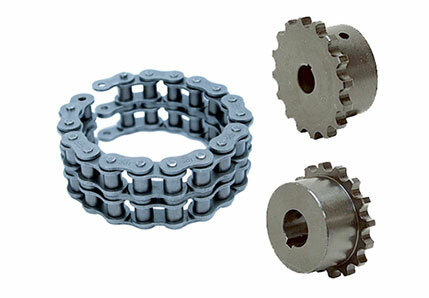 Our chain couplings and spares are used not only in India but also in the rest of the world. The good thing about our chain couplings is that they are capable of easily transmitting really high levels of torques with only minimum space consumption. This means that they offer a very economic means of transmitting power from a point to another. It is this that makes our products better than those that are provided by others. Here are some of the other factors that make our chain couplings and spares really great. We only make use of high end raw materials that generate optimum performance for all kinds of projects. By using our products, our users can easily bring down the cost of their operations. Each of the chain couplings that we design and produce come with excellent finish. The sturdy design of our chain couplings and spares can add value to all kinds of projects. Our products can be easily installed and used. Since our chain couplings and spares have anti corrosive properties, they look and perform the same for a long time. 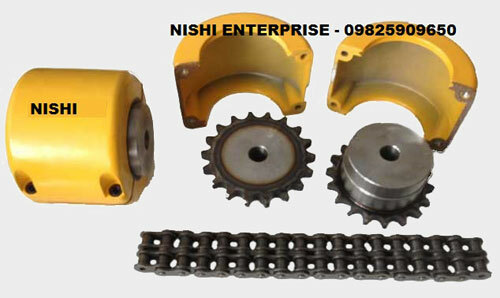 So contact our experts at Nishi Enterprise today when you want to buy the best chain couplings and spares.